While doing some research on Indiana crinoid fossils, I came across a section in the Indiana Department of Geology and Natural Resources Seventeenth Annual Report by S.S. Gorby State Geologist 1891 about naming fossils. At the beginning of the report, it lists the assistants to the state geologist including Geologist Moses N. Elrod and Palæontologist S.A. Miller. Pages 611-686 in the report is the section entitled Paleontology By S.A. Miller. "Fossils are named in the same way that plants are named in botany and animals in zoology. Each one has a name consisting of two words - the first generic and the second specific. The generic name must always be a noun, a specific name when an adjective must be made to agree in gender with the generic name. The generic name should always be commenced with a capital letter, while the specific name never should be. 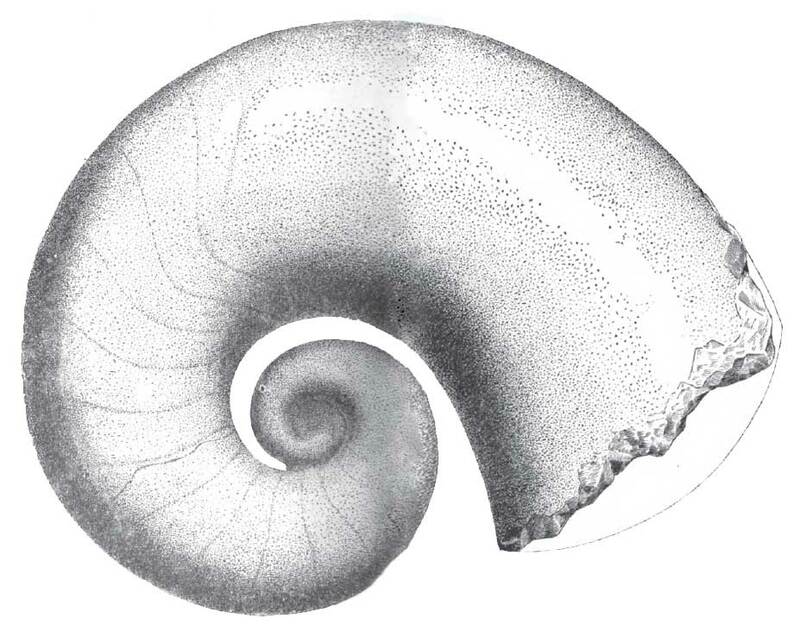 For example, the generic name Orthoceras is derived from the Greek words, orthos (straight) and keras (horn); keras in Greek, is in the neuter gender, while orthis is feminine. Palæaster is from palaios (anient), aster (star); aster is masculine." So if one was to name a fossil species after a person like the geologist mentioned above Moses Elrod, his name would be converted to the Latin genitive by placing the letter i at the end. 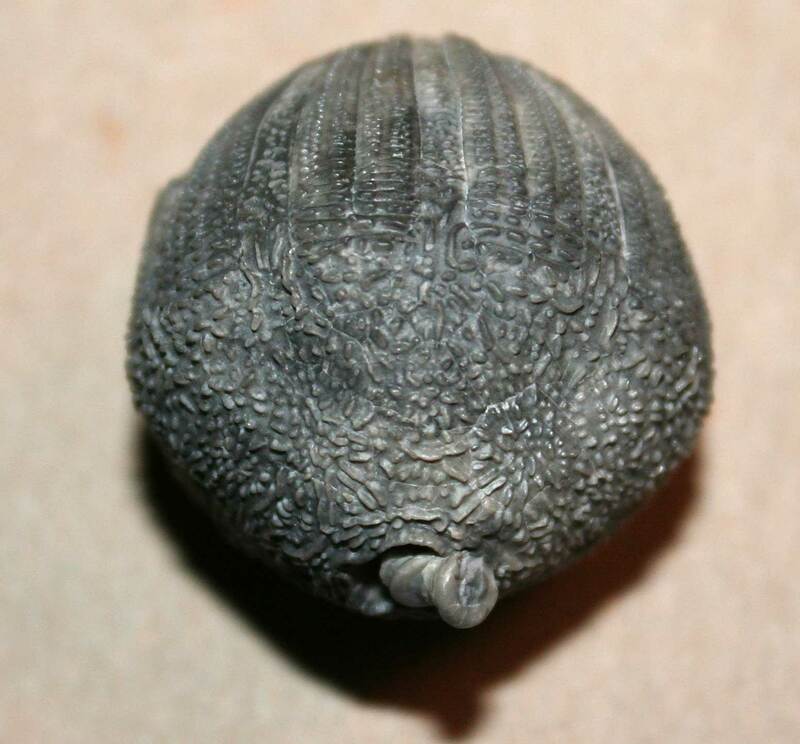 Examples are the Silurian crinoid found in the Waldron Shale of Indiana Eucalyptocrinites elrodi and cephalopod from the same area called Gyroceras elrodi. 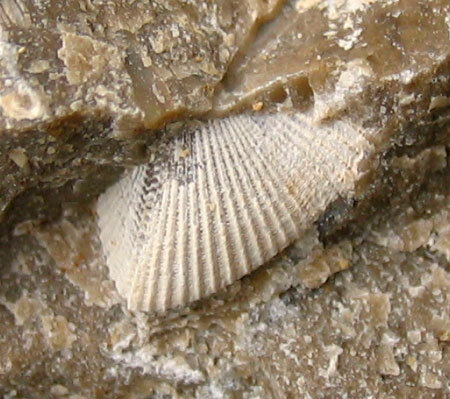 If an fossil is named after a place, then the locality would have an ensis added to its end. 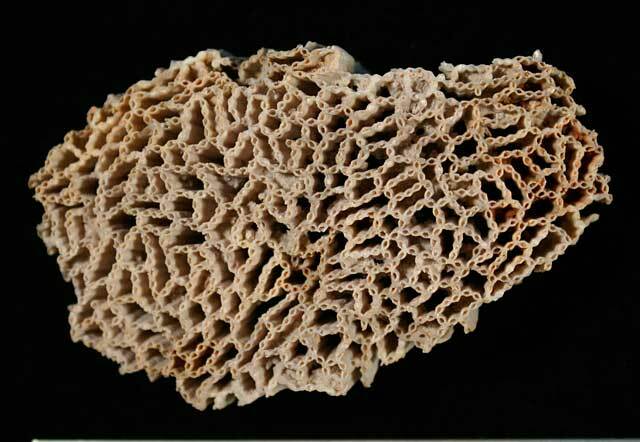 Such as the chain coral fossil named for Louisville, Kentucky USA Halysites louisvillensis. However, if the place's name ends in an a or e these letters are dropped. 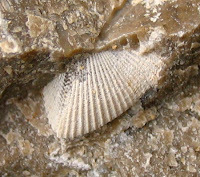 Such as the trilobite found in Niagara, New York called Bumastus niagarensis. "When a specific name is a common noun the ending is not changed; for example, cuneus, a wedge, would be written Orthoceras cuneus, Orthis cuneus, and Palæaster cuneus. It will be seen, the rules of nomenclature are not difficult or hard to learn, and they are the same in all branches of Natural History." 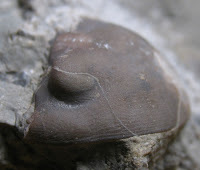 Example: Hippocardia cuneus (rostroconch fossil) found in the Devonian Jeffersonville Limestone of Louisville, Kentucky USA.